While there's good reason to be concerned about foreign terrorist attacks in the USA, the real threat to the homeland is from domestic terrorists. Here's a list of domestic terrorist groups and notable terrorist attacks. The Federal government is currently setting a bad precedent on how to deal with domestic terrorists. 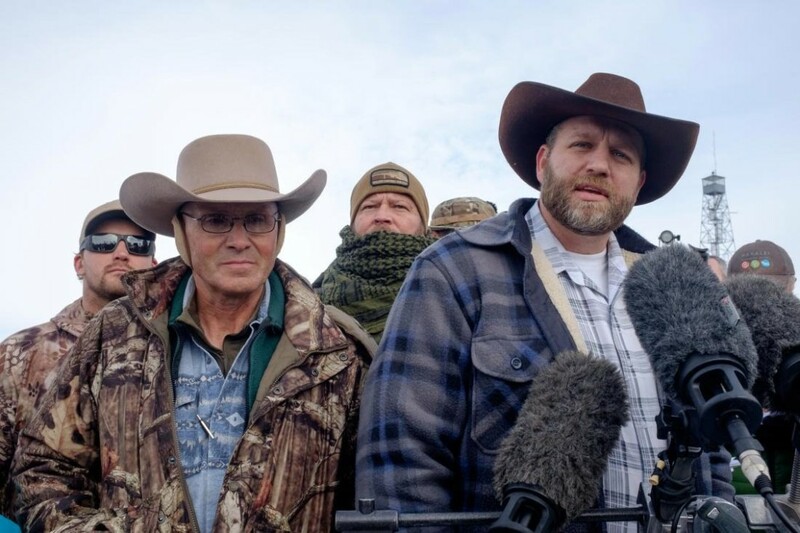 I refer to the armed standoff at Oregon's Malheur National Wildlife Refuge. 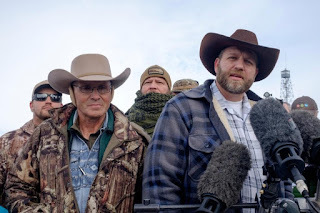 Shortly after the militia members occupied the refuge on January 2, the local sheriff, Dave Ward, called on them to go home. They have refused to leave, and the Federal authorities have not forced them to heed Ward's demand. Locals want them gone and have made that plain, but the situation at the sanctuary continues to worsen. People are asking why these men have been allowed to seize government property (from trucks to paperwork) with such impunity? Word is that the feds don't want another Waco or Ruby Ridge. But does that mean there's no other answer than to wait until the protesters decide to leave, and to let them get away with breaking dozens of laws? Shut off the power to the building, turn off the water and block the road coming, and going. Don't let food or supplies get in. With the snow and freezing temperatures working as a reason to leave,the terrorists will end their siege themselves. Yet, no one has done this. I've read the comments to the news article on this standoff and the answer is clear to most people - just not to the feds. The protestors plan to hold a community meeting on Friday to explain why they took over a building there and when they will leave. LaVoy Finicum, one of the protesters at the Malheur National Wildlife Refuge, announced the meeting Tuesday, the eleventh day since the group took over a federal building there and demanded the government turn over federal land to local control. The mishandling of this illegal occupation is setting a dangerous precedent. What if other hate groups start using this method to get their demands met? Oh yea, and just imagine if the next illegal takeover is done by a group of armed African-Americans with their own agenda? What do you think the chances are of it ending in a bloody shoot out? That's right. Anarchy in America. Why Do Republicans Always Misquote Adolf Hitler? Imagine a place where it rains diamonds!